Vegan Cuts has a flash sale – Get 20% off on select boxes in the shop! Vegan Cuts has a last minute gift sale – Get a FREE Box when you gift or subscribe to a 6+ Month Plan! LAST DAY! 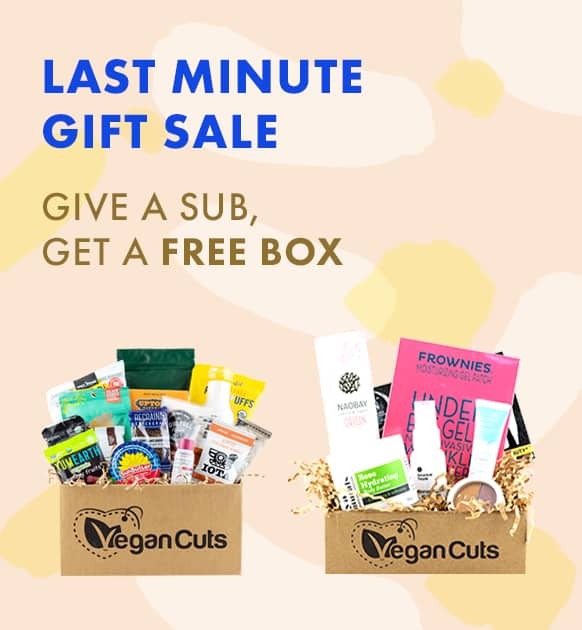 Vegan Cuts has a last minute gift sale – Get a FREE Box when you gift or subscribe to a 6+ Month Plan!